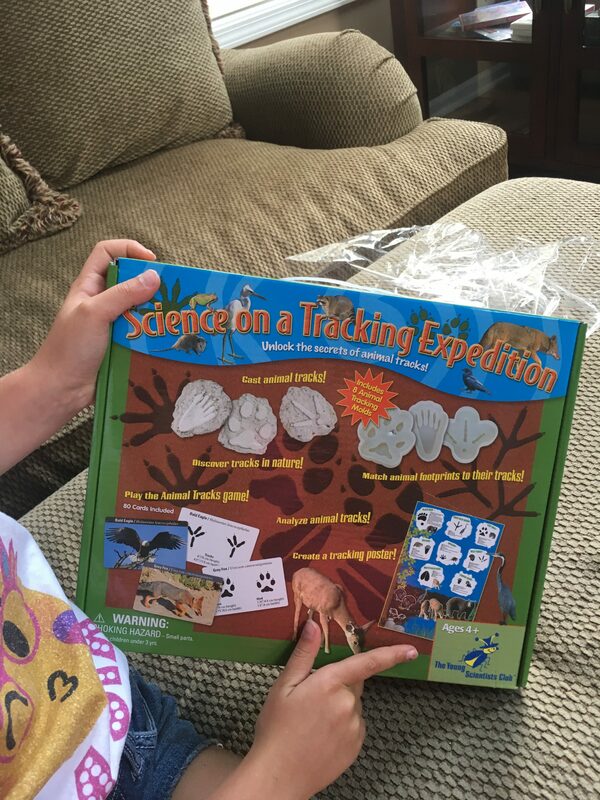 My daughter loves to do STEM projects and activities, so we were thrilled when The Young Scientists Club – Science on a Tracking Expedition kit arrived! We enjoyed taking out all of the pieces and parts of the kit and exploring the activity lists. 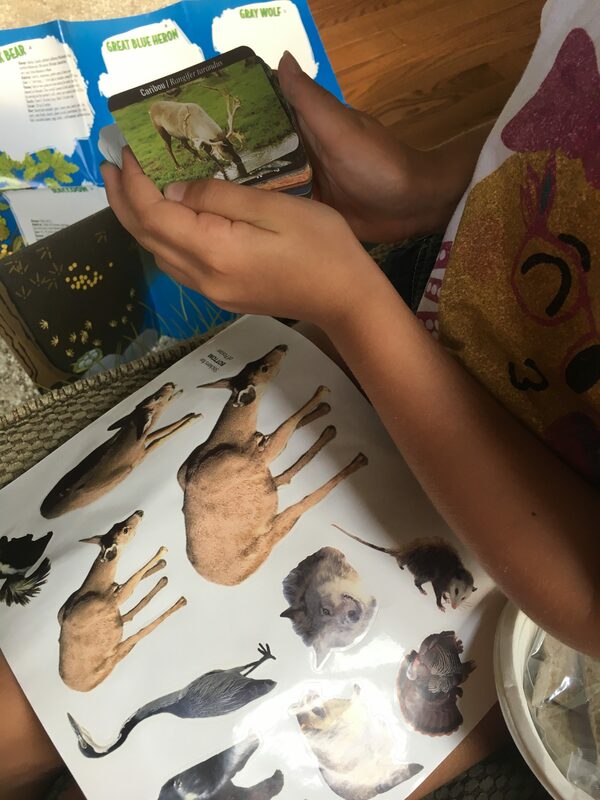 My daughter loved learning all of the various facts about the animals, especially what animals eat. After we emptied the contents of the box, we decided to go outside in the nature where the animals live to work on the kit. 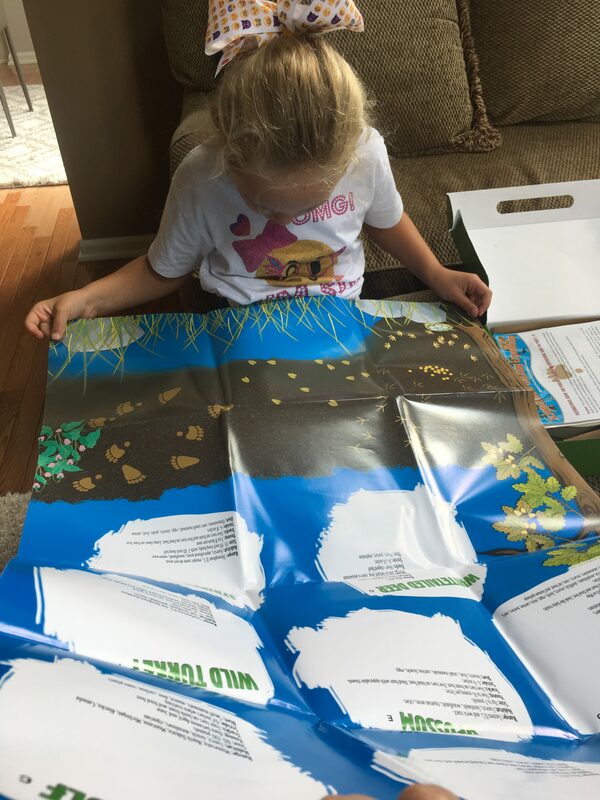 The step by step instructions are so easy to follow and it really got her thinking about the different animal sizes and their way of life. 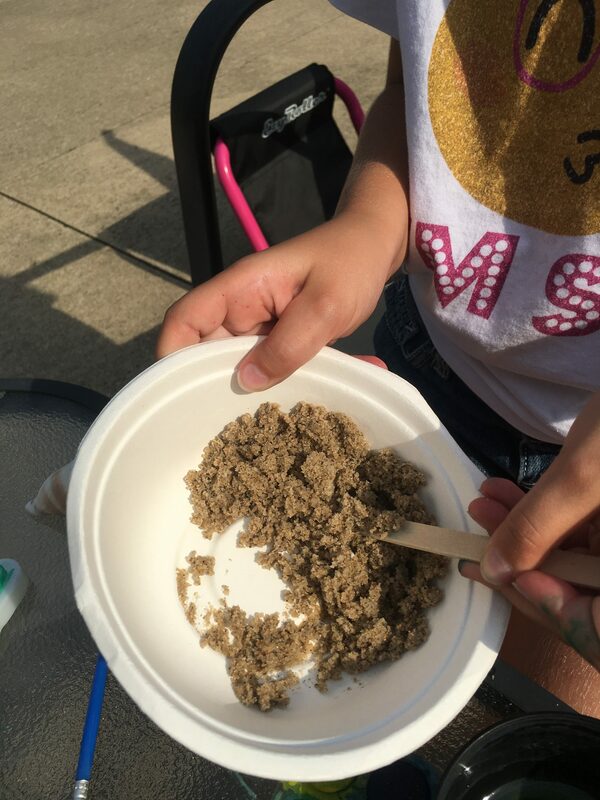 My daughter didn’t know what animal “tracks” were, so I was able to teach her about their prints in the sand or dirt. 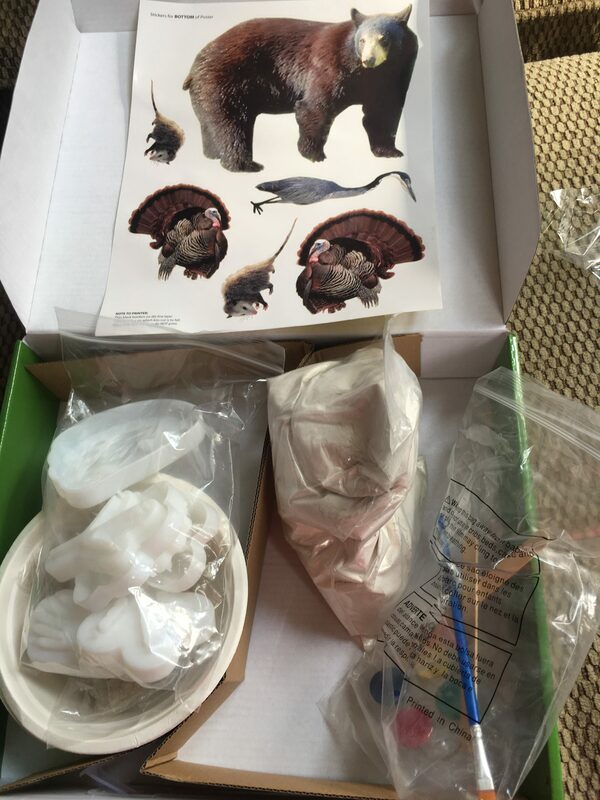 It was so fun painting the molds of the animal feet a variety of colors and placing them by the right animal. 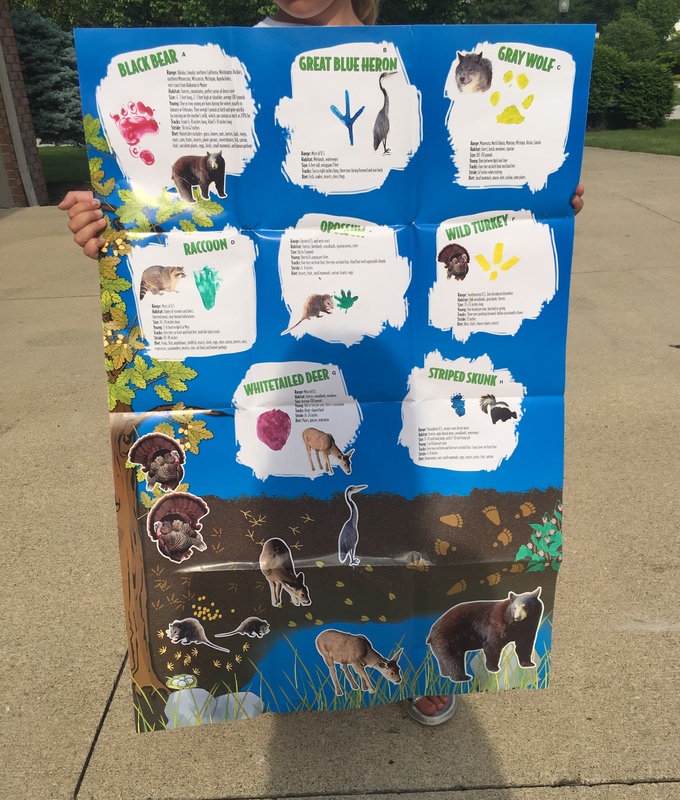 Then we put the correlating stickers with the right animal on the poster as well. We enjoyed using the sand kit to make molds of animal feet for the different animal tracks. She loves to pour and mix things together! The Young Scientists Club has won the 2018 Reader Award for the Science Kits and Supplies category from Practical Homeschooling. The recognition was for the company’s Monthly, delivered right to your door! There are 36 themed kits, ranging from Phases of Matter, Circuits and Electromagnets to Stars and Surface Tension. The kits can be ordered at the company’s site—each kit is $11.99 plus $4.95 shipping & handling. There are two licensed brands of retail kits along with house-branded kits, Magic School Bus<http://www.theyoungscientistsclub.com/retailstore/retail-magicschoolbus.html> and Clifford<http://www.theyoungscientistsclub.com/retailstore/retail-clifford.html>. Read all about The Young Scientists Club! Company Snapshot: The company was started in 1999 when Esther Novis (Harvard ’87, A.L.M. combined with a true educational science exposure for her own young children. products led to the genesis of The Young Scientists Club. and sent them off. The idea for a science subscription service was born! retail stores worldwide and at their online Young Scientists store. Sets. 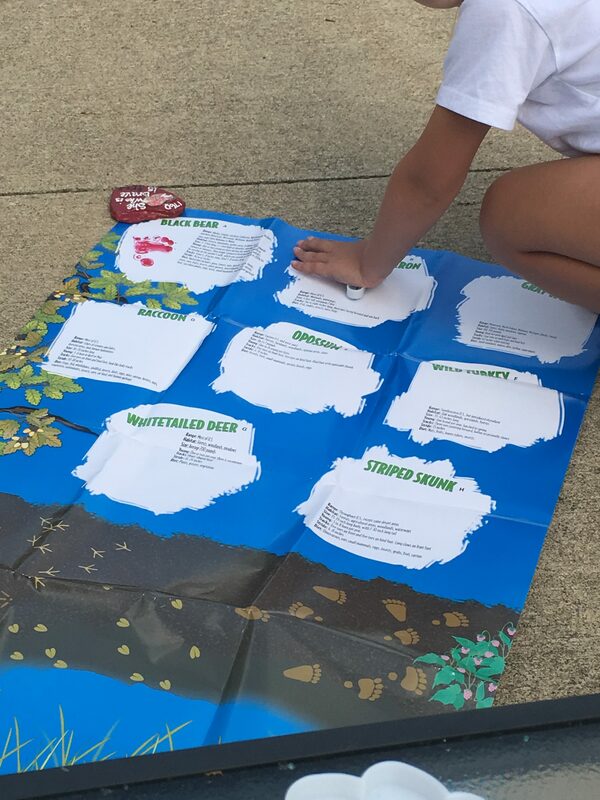 Nature Series such as Science on a Gardening Adventure and Games like Math Explosion followed. kids reacted with great enthusiasm and Clifford kits also became available via mail-order subscription. from the new Netflix TV show, introducing a new generation of fan to the longtime favorite show. children in The Young Scientists Club’s summer science camps. more information on these edu-taining products, visit TheYoungScientistsClub.com. whimsical kit for children and tweens. designs complete lines of unique and innovative science products for both retail and school customers. tenure at Harvard she attended Thomas Jefferson Medical School in Philadelphia, PA.
computer science and human anatomy and physiology at the Academy of the Sacred Heart. the Thomas Small Prize for high academic achievement while doing it. experiences to instruct young children in a complete range of science and math topics. Indiana Audubon Quarterly and Parents Magazine.